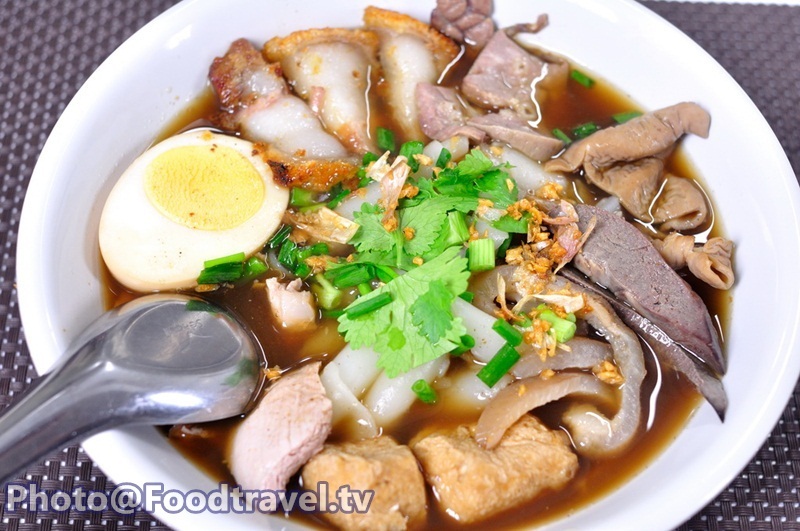 Noodle with Crunchy Pork Soup (Guay Jub Nam Kon) - Noodle with Crunchy Pork Soup is not much different from clear soup noodle with crunchy pork. Just fill Chinese five spices blend powder with pork entrails. The taste is even more mellow and sweet. 1. Heat water to boiling. 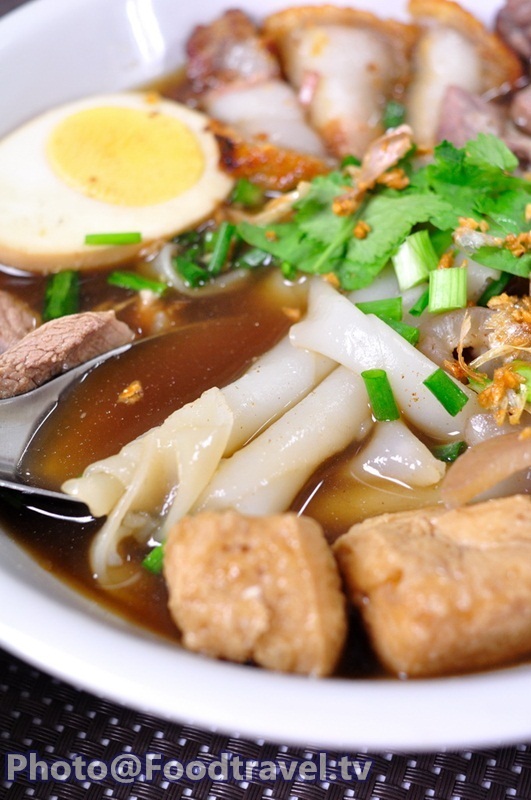 Bring Vietnam noodle to boil until cooked and thick. Then bring up and set aside. 2. Heat soup until boil. Add celery root, garlic, anise, cinnamon, pepper, anise seed powder, oyster sauce, dark soy sauce, soy sauce, fish sauce and sugar. Close the lid and boil for 15 minutes. 3. Drop out the ingredients in the stewed soup with chinese herbs. 4. Put Vietnam noodle in a bowl. Add entrails, tofu, pork skin, egg, crispy pork, follow with stewed soup with Chinese herbs. Then sprinkle with fried garlic, spring onion and coriander. Finished.